INFORMATION: This scholarship is based on interest in engineering, physical sciences, or other related technical fields as well as leadership, personal character, scholastic achievement, and aptitude. Scholarship money may be used for any expenditure payable through the Financial Aid Administrator's Office, including tuition, fees, and books. Announcements of winner(s) will be made before end of the current school term and the scholarship award(s) will be presented before the college fall term begins. In the event the student drops out of school or does not begin using the scholarship money by 1 October the year after the scholarship award, the unused scholarship money will be withdrawn. 1. Be a United States citizen. 2. Be a responsible high school graduate or high school senior (public or private) and recommended by their respective school and/or sponsor. 3. Have applied to or be an undergraduate enrolled in an accredited four-year college. 4. Have shown prior interest in a scientific, technical, engineering, or mathematical (STEM) career. a. Engineering is defined as the science by which properties of matter and sources of energy in nature are made useful to man. 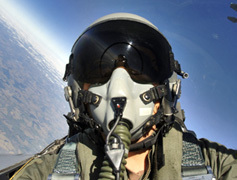 Appropriate engineering fields include Aerospace; Chemical; Civil; Computer Science; Electrical; Industrial; Mechanical; and Software Engineering. b. Other related technical fields include such areas as: Physics, Chemistry, and Mathematics. 4. Other indications of need, character, and noteworthy achievement. 1. Complete Application and Transcript Release Form. 2. Provide Counselor's Recommendation Form to Counselor or other appropriate official. 3. Return forms to the Scholarship Chairman, via mail to: NDIAGCC, PO Box 446, Shalimar FL 32579 by 15 March. 1. Complete Counselor's Recommendation Form. 2. Provide Student's Transcripts and Counselor's Recommendation to the applicant by 1 March or directly to the Scholarship Chairman, via mail to: NDIAGCC, PO Box 446, Shalimar FL 32579, by 15 March. Privacy Statement and the Notification of Copyright Infringement for the National Defense Industrial Association. This site is designed and maintained by Gulf Coast Chapter, NDIA.